Cabinetry is a major consideration for Australians who are planning to remodel their house. Of all the requirements, storage capacity is the top priority. 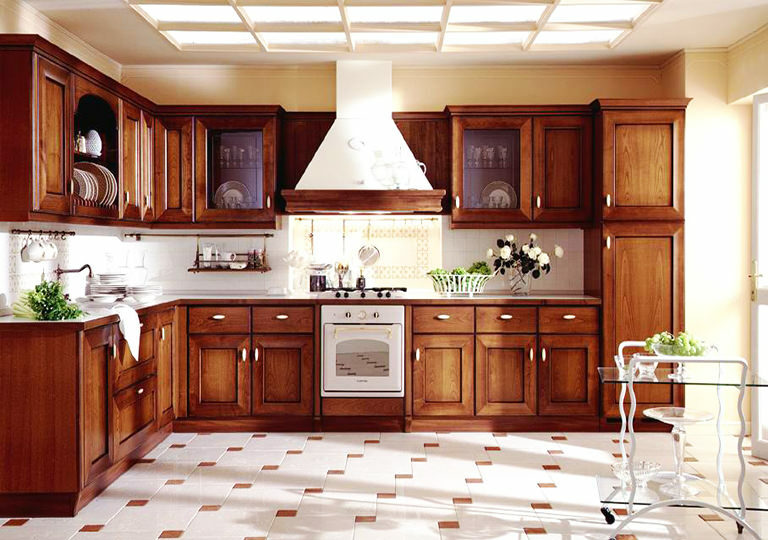 To maintain a beautiful and inviting kitchen, there should be enough space for food preparation. It is also advisable to have a storage for your crockery and utensils. Due to these, Australian cabinets are usually sectioned to maximise the storage capacity. Aside from these, the general appearance of the room is greatly influenced by the look of your cabinetry. Whether your goal is to achieve aesthetics or functionality, this article sums up the top trends in Australian cabinets designs inspirations to get you started. Keep your pots and other crockery organised with a sliding hanger Australian cabinet. You can hang your containers so they will stay organised whether they are in use or not. Make it easier for you to reach the pots whenever you need them for cooking. It doesn’t only bring order to your kitchen but contributes to the overall aesthetic appearance as well. Since your pots are hanging, you can maximise the space down under for other items like your cutlery and glasswares. Put your corner in optimal use by installing corner drawers. These spacious Australian cabinets give you easy access to packs of flour, pasta, and tins. The best part about it is that you don’t need to bend down to access the items. These extendable drawers are ergonomically accessible in all corners. You can see what provision needs replenishing with this type of drawer. Pull out organisers are types of Australian cabinets used for storing condiments like spices. Typically, spice racks are taking over the entire countertop, making no space for other kitchen stuff. These bottles even spill out of the cabinets and pantries. To solve this dilemma, a pull out spice rack should be used. This rack fits most cabinetry and can be customised to keep all your spices in one place. Most Australian cabinets have empty or blank sides. To maximise it, you can transform it into a cabinet ender. Convert it into a slim cabinet for storing small items like keys, pens, notes, and other small valuables. It is a simple yet ingenious way of adding storage to your cabinets without purchasing a new one. Are you tired of having a messy fridge door? Why don’t you try installing a cork board cabinet door? These cork board Australian cabinets are innovative ways to turn your cabinet into an instant bulletin board without the mess. You can post your utility bills, reminders, and essential notes there so everytime you open the cabinet door, you’ll be reminded on what you need to do. Does your sink have an extra space in front of it? You can turn it into a dishwashing cabinet so your sink will look neat and clean. Some small Australian cabinets can be installed under the sink, provided they will fit in there. Create a kitchen with a touch of minimalism using cabinets portrayed with clean lines and monochrome colours. You can include minimalist embellishments to reinforce the simplicity of these Australian cabinets. You can choose from different materials like wood and plastic. Concerning colour, it’s best to paint it with white to achieve the minimalist look. Australian cabinets come in a variety of forms, and flat-stack style is one of the most trendy in most homes nowadays due to their functionality and space-savvy feature. You can allocate one of your cabinets to make stacks for storing pans and other large dishes. It is a right way of preventing damages to these fragile kitchenwares. Instead of placing your microwave on your countertop, you can put it in a microwave shelf by installing a pull-up door to your Australian cabinet. This is a good alternative if you have a smaller kitchen. Lighted cabinets are currently gaining popularity in interior design. This is achieved by installing mood lights for each of your Australian cabinets. It’ll be easier for you to locate items, and at the same time, you’ll achieve a glamorous-looking kitchen. Let the stale air out by installing screen doors to your Australian cabinets. The gleam of chrome and aluminum creates a luxurious atmosphere in your kitchen. This is also best chosen if you would like to display your beautiful kitchenware. We hope that you get inspiration from these top trends in Australian cabinet designs that you can apply in your own homes. Or better yet, hire a professional cabinet maker through HIREtrades so you can customise the look of your Australian cabinets. HIREtrades is a one-stop online marketplace for connecting consumers and businesses, covering 200+ trades and serving all states across Australia. Visit our dedicated Cabinet Making page or Get A Quote by filling out our quick and easy form.